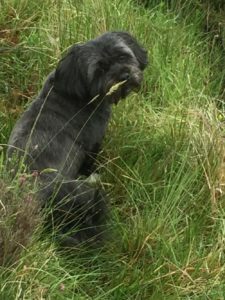 One of my very favourite things to do when I have any spare time is walking, preferably with my wee dog Millie who is a very small Lhasa Apso. 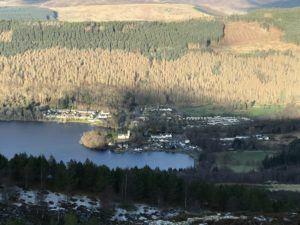 I live just a couple of miles outside of Aberfeldy so there are lots of great walking options in this beautiful area. 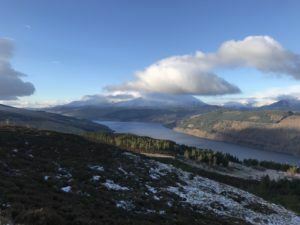 One of my favourite walks is Kenmore Hill which is accessed from the Glen Quaich road in Kenmore. There is a car park there and a selection of marked walks you can follow. If you head up the hill, the view from the Cairn at the top is stunning. You are looking down on to Kenmore village and along Loch Tay with its back drop of Ben Lawers. As you walk along, you may be lucky enough to hear Black Grouse calling and you can also see deer and various birds and other wildlife. It is not a hard walk and the paths are good so do give it a try sometime. There are so many wonderful walks in this stunning part of Highland Perthshire and the Visit Aberfeldy website is an excellent resource if you are looking to explore the area http://www.visitaberfeldy.co.uk/aberfeldy-walks Some of my other regular walks are Drummond Hill in Kenmore, the old railway path from Aberfeldy to Grandtully and Weem Rock. I would say that all of these make good family walks as they are not too difficult. So, as the weather starts to improve and the daylight hours extend, why not try and get out and enjoy one of these lovely walks next time you visit.